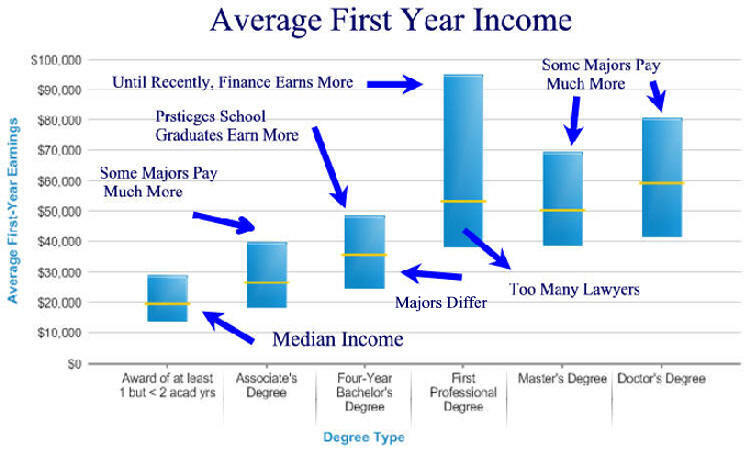 Not all college majors have a high economic return. as a percentage of total employment, May 2017 Source has extensive data. the economic gains from investing are very precarious. 1Data from The class of 1993: Earnings and occupations by college major, 1 and 10 years after graduation Editors' Notes: Wouldn't a 20 year update be interesting. Study was removed. Chart titles and data arrangement are from www.businessbookmall.com. Data is based upon a nationally representative sample of 11,190 students graduating from 7/92 to 6/93. Visit our Education Libraries for more current information concerning education. little has changed since this data was collected. Visit our Sister Site Free Internet Libraries for students, Teachers, and Professionals. 1Data is from The Class of 1993: One Year After Graduation and Four years after graduation: The class of 1993 as published in the Occupational Outlook Quarterly of the U.S. Department of Labor, Summer, 1998 pp. 11-21 and Winter of 2000-01, pp 17-29. Chart titles and data arrangement are from www.businessbookmall.com. Data is based upon a nationally representative sample of 11,190 students graduating from 7/92 to 6/93. Special Note: The increase in salaries of about 10% per year that took place over the 3 year period is a little misleading as some graduates had earned an advanced degree. The average salary for college graduates where a bachelors degree is the highest degree would be lower. additional education to pursue work in their career. 2Data is from The Class of 1993: One Year After Graduation as published in the Occupational Outlook Quarterly of the U.S. Department of Labor, Summer, 1998 pp. 11-21. Chart titles and data arrangement are from www.businessbookmall.com. 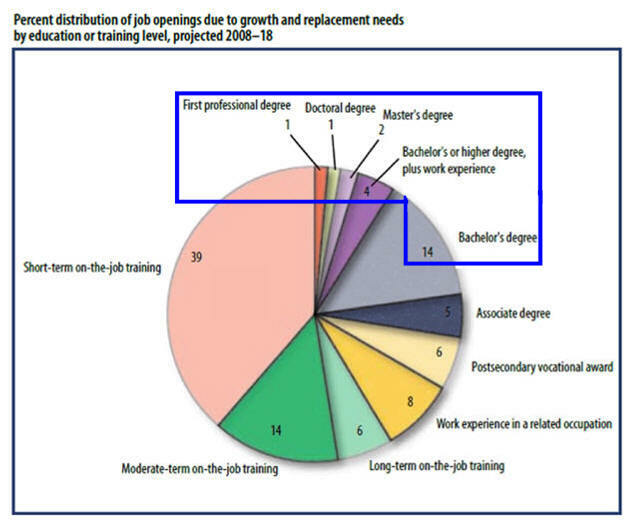 1Chart is from Four years after graduation: The class of 1993 as published in the Occupational Outlook Quarterly of the U.S. Department of Labor, Winter of 2000-01, p 9. Data is based upon a nationally representative sample of 11,190 students graduating from 7/92 to 6/93.